Nasser Ibrahim Al-Rashid, Ph.D., is the founder and chairman of Rashid Engineering, a full-service consulting engineering firm based in Riyadh, Saudi Arabia, which oversees major government construction projects for the Kingdom of Saudi Arabia. He is a professional engineer, businessman, and entrepreneur who achieved outstanding success through hard work and perseverance. He constantly proved to others that he had the ability to persevere with a plan of action when all the influences around him said it couldn’t be done. As the oldest of seventeen children (Two full brothers, two full sisters, seven half-brothers and five half-sisters) in a middle-class family from Ha’il, Saudi Arabia, he managed to pull himself up from humble beginnings by pursuing a self-initiating, resilient, and no-nonsense approach to life. He seized every opportunity presented to him and through his integrity, determination, and achievements of individual will he was showered by good fortune. In 1991, he was selected as a recipient of the Distinguished Alumnus Award of the University of Texas at Austin for his personal and professional success. In his quest to make the future better than the present, he continues to foster relationships and social bonds with influential people throughout the world, and he contributes much of his time and interests in philanthropy and in global economic and social activities, where his humanity has shown a strong dedication to helping others. 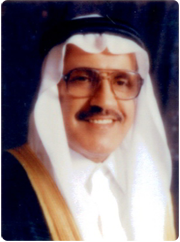 Dr. Nasser Al-Rashid was born in 1939. 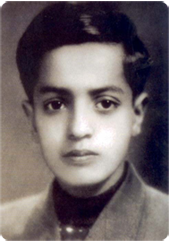 He started his early education in Saudi Arabia (Ha’il and Madinah), Syria (Damascus) and completed his secondary studies at the American Presbyterian mission school at Suq al-Gharb in Beirut, Lebanon in 1960. 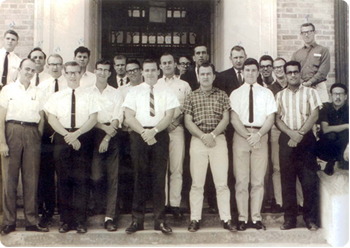 Upon completing his secondary education he won a scholarship from the government of Saudi Arabia to attend the University of Texas at Austin (UT), where he earned his Bachelor of Science degree in Civil Engineering in January, 1965. Upon graduating, he joined the newly established College of Petroleum and Minerals (CPM) – which is now called the King Fahd University of Petroleum and Minerals – as a teaching assistant and supervisor for the development of the master plan for the university campus. After a year, he returned to UT where he enrolled in the Civil Engineering graduate program to pursue the Doctor of Philosophy degree. As a student at UT, Dr. Rashid was inducted into: Chi Epsilon, Phi Eta Sigma, Phi Kappa Phi, Sigma XI, and the Tau Beta Pi honor societies. And as an honor student he was also awarded the annual financial aid award by the Government of Saudi Arabia. After earning his Ph.D., in Civil Engineering, in the spring of 1970, he returned to the College of Petroleum and Minerals where he became the Dean of Engineering and Business Affairs as well as the Director of the master campus plan. 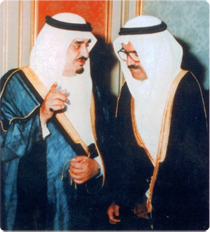 In 1975, he resigned from the CPM to establish the Rashid Engineering office in Riyadh, Saudi Arabia. Upon completing a fast-tracked turnkey construction project on-time for the government, Dr. Rashid was chosen by King Khalid, and later King Fahd, to be the Engineering Consultant (through Rashid Engineering) to the Royal Court. Over the years Rashid Engineering became one of the largest engineering firms in Saudi Arabia, designing and supervising major construction projects in the Kingdom until the present time. 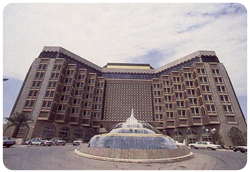 Designed and supervised all of the compounds of the Royal Diwan – Yamamah, Madina, Taif and Riyadh Palaces, conference halls and some hospitals and schools in his capacity as a consultant of the Custodian of the Two Holy Mosques, the late King Fahd, and he continues to do the same for King Abdullah Bin Abdulaziz. Ordre National de la Légion d'Honneur, awarded by former French president Francois Mitterrand in the early eighties. Medina award for Design of the Holy Quran Printing Press in 1997. Ha’il award for humanitarian activities, 1998. Prince Mohammed Bin Fahd award for philanthropic activities, 2001. Legion of Honor from former French president Jacques Chirac, 2003. Presidential medal from former Korean president Roh Noo-hyun, 2004. Chamber of Commerce Award in Riyadh, for health care and service of society, 2004. Association of the Handicapped children award for human services. Distinguished Engineering Graduate of the College of Engineering at the University of Texas at Austin, 1980. Distinguished Alumnus of the University of Texas at Austin, 1991. Abha Prize awarded by the Governor of the Asir Region in Saudi Arabia. Member, Board of the Equestrian Club of Riyadh (This is a most exclusive club whose chairman is his Majesty Abdullah bin Abdelaziz Al Saud, King of Saudi Arabia). Member, Board of the Handicapped Children’s Association. 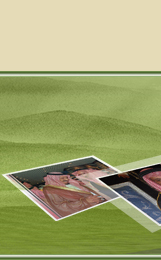 Member, Board of Founders, Al-Fikr Al-Arabi [Arab Thought] Foundation. 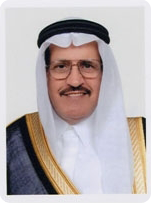 One of the founders of the Prince Salman Centre for Disability Research. Ex-Board member, Arab Bank, Amman. Member, Engineering Advisory Board, The University of Texas at Austin. Member, Athletic Advisory Council at the University of Texas at Austin. Member, National Committee for Drug Control for Saudi Arabia. His favorite hobby is walking, and he is a frequent traveler, especially to the USA and Europe. He is married with six sons, three daughters, and five grandchildren.